Lighter-calorie desserts can leave you feeling deprived, but these skinny lemon bars aren’t what you might think. Enjoy the chilled, light texture and bright lemon flavor in a special treat you and your hips will love. 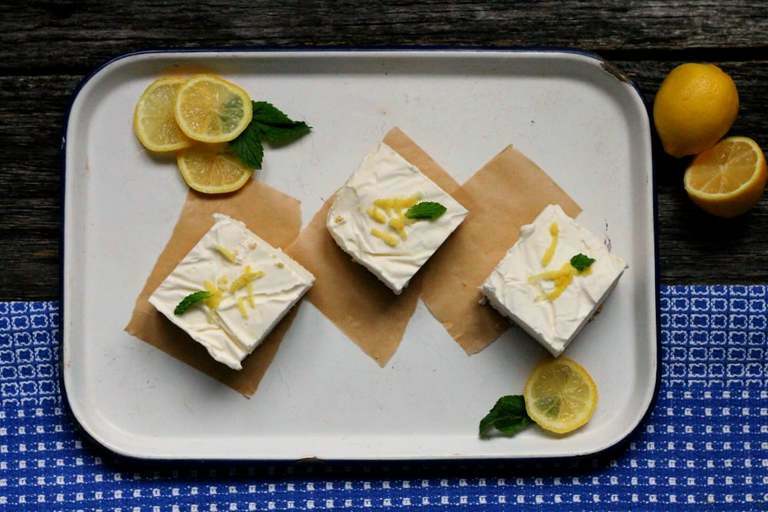 There’s nothing like making a recipe when you don’t have the ingredients, and the morning I made these Skinny Lemon Mousse Bars it was a Saturday morning–8 a.m.–and I refused to drive 20 minutes to the store for what I needed. Because that’s just nuts people. So, I improvised and nearly killed myself. The recipe that follows comes in at a mere 290 calories per serving (about a 2 1/2×2 1/2 inch square) IF you follow the real recipe. Which I did not. But you will. I needed whipped topping (Cool Whip). Didn’t have any. But I did have a big container of heavy whipping cream. Now I know some of you have a love/hate relationship with whipped topping. So do I. It’s synthetic enough to wax your car with–or maybe clean your engine’s valves, but it’s a taste we love. If you want to use it go for it. If you want to whip up something that actually came from a cow (but blow your calories) go for real sweetened whipped cream. Then I needed sweetened condensed milk. You guessed it. Why don’t I just wait until I go to the store? And it just happened that I had read something in a cook book the night before about making your own, so I dug it out. This is nuts. Who makes their own sweetened condensed milk? Me, apparently. I run and drag the foaming pot of syrupy milk onto another burner. Thanks for your help there honey. My kitchen smelled like burned marshmallows. Like a campfire gone wrong. “What’s burning? What’d you do mom?” Enter the five year old. Then I needed a cookie crust. I opened a box of vanilla filled cookies and started scraping out the filling by hand–who does this? You can use a premaid graham cracker crust if you want to and just make these in a pie shape, that works too. If not, crush up some graham crackers or ‘Nilla wafers in a bag and add just enough melted butter to hold them together, and press them in to your pan. And so it went–a three hour process of making what was supposed to be a 5 ingredient, 10 minute, one-bowl dish. I’m dumber than I thought I was. But I have to say, full-fat version or light and airy, these frozen lemon mousse bars are really great. 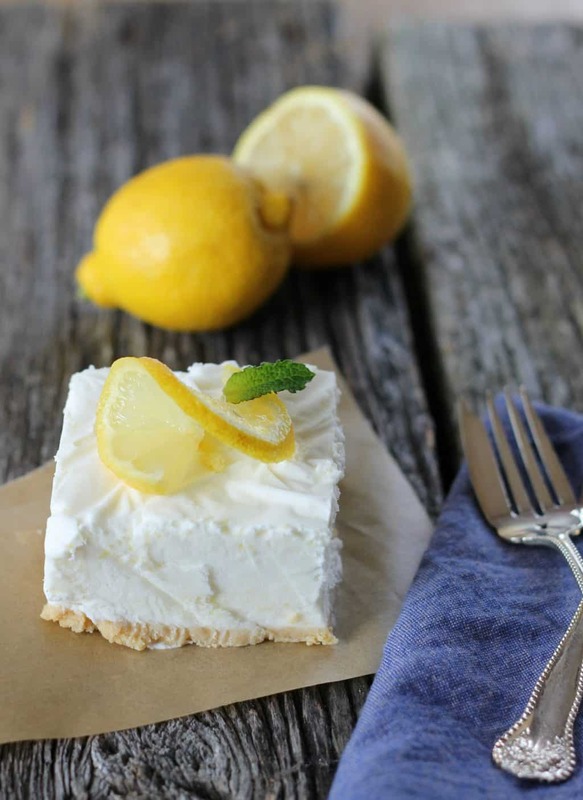 If you enjoy something sweet, you won’t blow your whole day’s calories on it and the lemon flavor pops–just make sure to add the zest too and not just the lemon juice. This means you will need a $3 bag of lemons. Do not use a bottle or you will take one taste and say mean things about me. You have been warned. Also take note: the lemon juice wants to sink to the bottom of the bowl as you stir, so mix it really well or add the juice slowly until it’s all combined. If you don’t like lemon, you can use lime or even oranges and it will still be awesome. 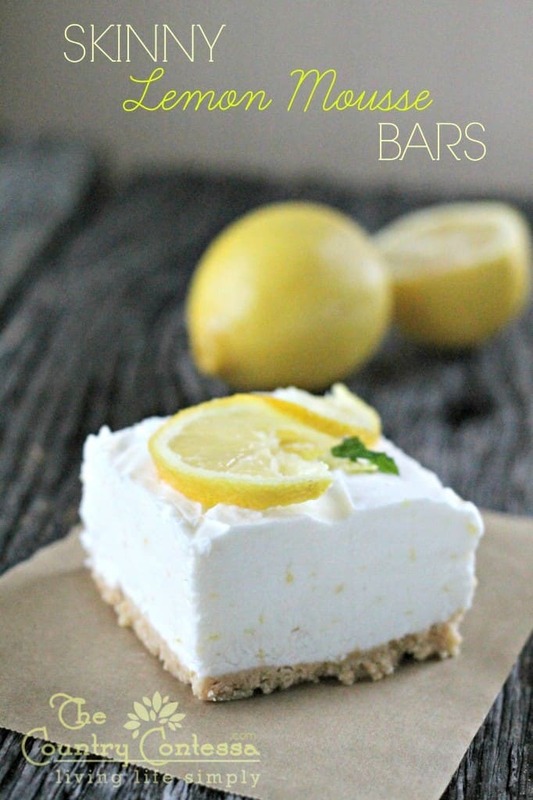 Frozen lemon bars have less than 300 calories each and are full of lemon flavor. In a large bowl, mix the whipped topping, condensed milk, juice and zest. Pour into the prepared crust and freeze 3-5 hours or until firm. *If using cookies, or fresh graham crackers, crush cookies until you have about 2 cups; add 3/4 stick melted butter or margarine and press into an 8x8 square pan. Add topping and freeze. Cut into bars. This is absolutely delicious. I made it in a glass loaf pan with no crust of any kind, then cut slices and served. Yumo! Looks delish!! Was wondering if I use oranges, what kind would be the best to use? Sharon, I thing just about any orange would work as long as you use the zest. A tangerine would be wonderful or any navel orange would also work. Let me know how that variation turns out if you give it a try–it would be like a creamscicle! Dear Rachel, loved the description of your ‘replacement’ recipe. I’m sure we all think that we are the only mad person to do stuff like that! Saw a skit once that began with a spring roll (egg roll?) recipe, and with replacements became a toasted sandwich – bread for spring roll pastry, filling, then toasted rather than fried! I don’t think we have that frozen cream stuff here (Australia) but the cream version sounds great. These look delicious! I only have a 14.5oz can of condensed milk – should I crack it open and measure out the 8oz, or is the 8oz by weight? Hey Kari, just go ahead and measure 8 ounces (1 cup) of the milk and you’ll be good to go. It’s not 8 ounces by weight in this case. I hope you love them! Thanks, Rachel! When I poured the 14.5oz (by weight, I presume) can out into my measuring cup, it looked like it almost equaled 8oz by volume, so I didn’t use all of it. I used a granola crust that I found at the store, and limes. It was so good!!!! I made one for a birthday celebration at my office, and then had to make another one just for my husband and I. Thanks for the great recipe! rs waitig to set, but soo easy and the batter was really cfreamy and lemony, love it! Wonderful Sherry! I hope they turned out well for you. I love them myself. Thank you for letting me know! Not too much Sue–if you don’t count the sweetened milk and whipped topping. 🙂 They actually have less than 300 calories per 3-inch square, give or take. I do this and use limes and it is awesome! I agree Michelle! I think any citrus would be great here. Maybe even orange for a creamsicle feel?? Glad you agree that’s it’s yummy though! 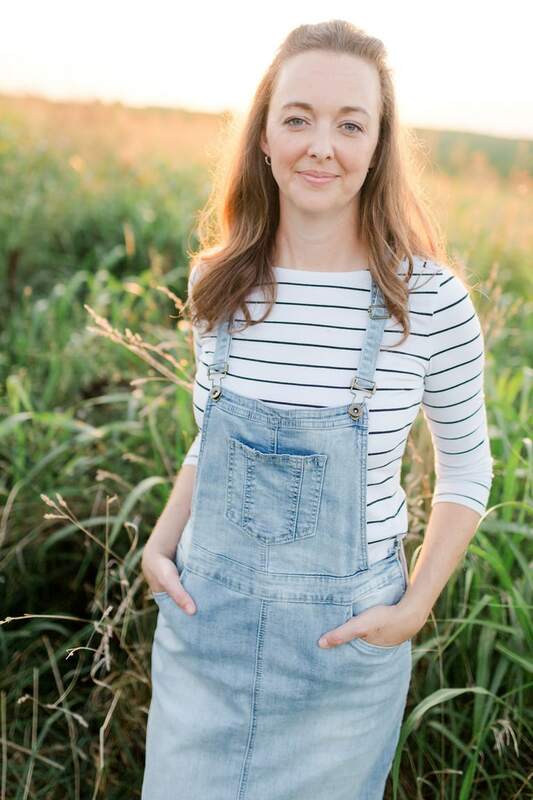 Hi Rachel – I found you through foodbloggerpro.com as well! Yay us! Your blog is beautiful and I can’t wait to try these lemon bars. I subscribed and am looking forward to your next post! I just came to your blog from FoodBloggerPro (we were talking about SU) and I have to say I’m surprised I’ve never come across it before! 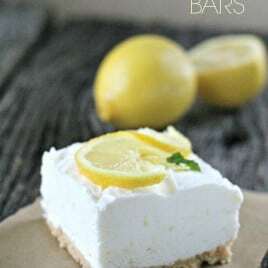 You have gorgeous stuff on here, and these Skinny Lemon Bars look and sound amazing. Keep up the awesome work! Well hey there Morgan! Thanks for coming by and visiting me. 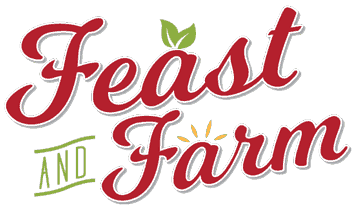 The blog is still young–just launched in July–but it’s growing and I have a lot of fun doing it. And trust me, these lemon bars are great. Food photography is really a fun hobby for me and the blog is a great outlet from my normal job as a medical writer. 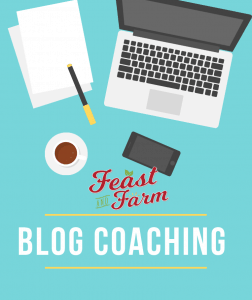 I’ll be sure to take a visit to your blog too! Come see me again!